The purpose of this website is to get some exposure for these photos by the 15th anniversary of 9/11, so that they can one day be properly displayed in their best possible light. This website is not the intended finished product. Of the many photos shot, only the first photo above has been seen widely. Other photos have not even been printed or scanned in high resolution due to a lack of funds. It is the photographer's hope to get a museum, institution or publisher interested in helping to properly preserve and display these photos at their best. To find out how to contact the photographer, Click Here. 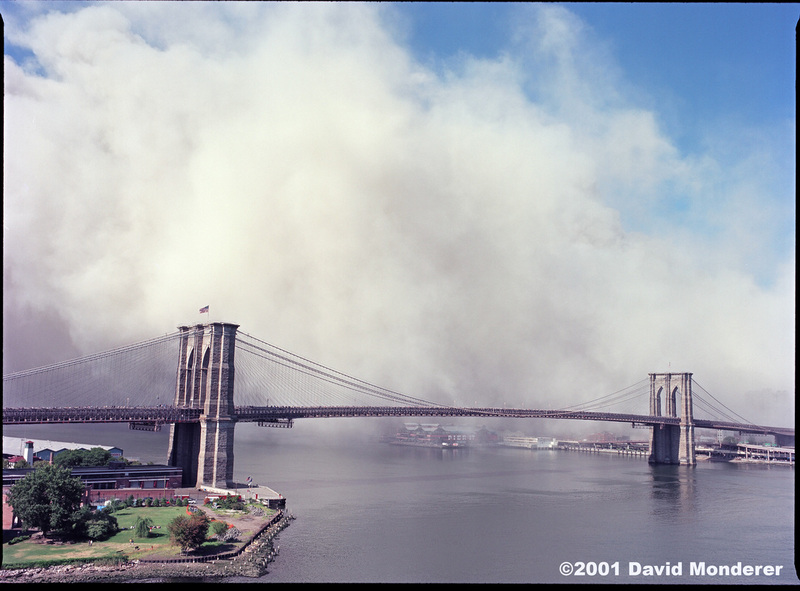 Photo dated 9/11/2001, Copyright 2001, David Monderer.